Are you looking for practical and creative ship design or maritime engineering? With a history in shipbuilding since 1957 3D Ship Engineering has well-grounded knowledge, expertise and experience in designing and engineering of all kinds of complex ships and maritime constructions. Since 2012 we are an independent engineering company with the focus on 3D ship design and maritime engineering. We are dedicated to deliver the best possible ship design and engineering for your unique project. Our naval architects and mechanical engineers will deliver practical and creative designs and solutions. For most of our work we use Siemens NX 3D & PLM software. 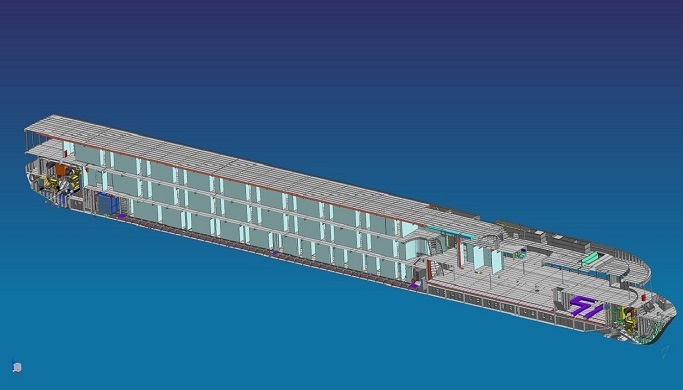 3D Ship has a history of designing special custom-built vessels to owner’s individual needs. Based on our well-grounded knowledge of Naval Architecture and years of experience in designing custom built inland waterway ships we can be a strong partner in your new project. 3D Ship provides reliable construction solutions for all kind of ships, especially complex cruise ships and yachts as well as other construction projects. 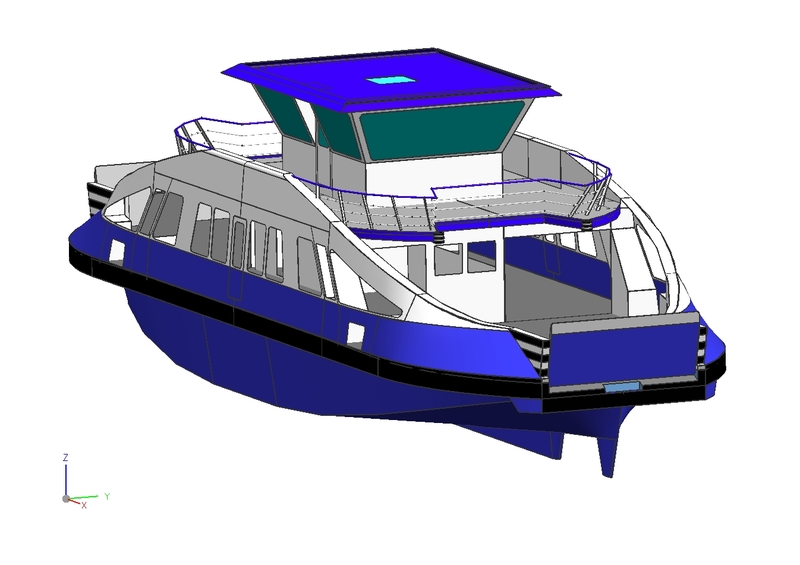 For many years we have built 3D structural models with Siemens NX for all kinds of maritime construction including mega yachts, cruise ships and ferries. 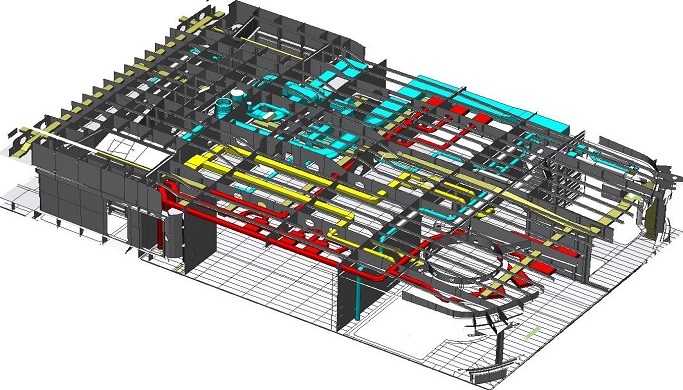 The detailed design of structural parts in a 3D model is based on a concept model or 2D drawings. During the past 20 years we have gained experience with the engineering of ships systems of a large variety of ship types. Engine room lay-out and routing of piping and cables will be optimized to your special needs. 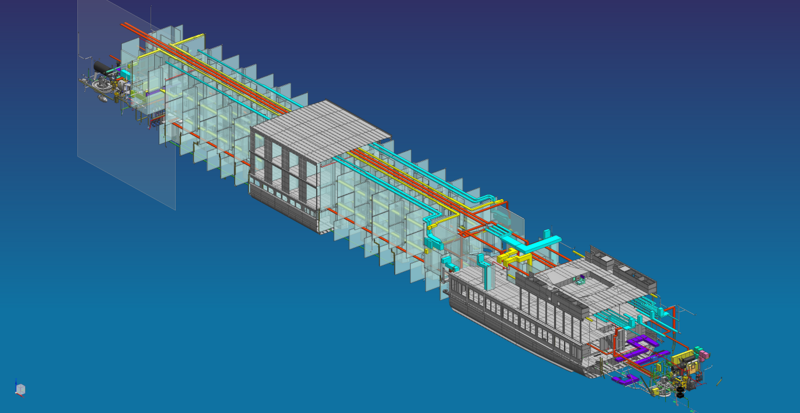 Since 1999 we use Siemens NX (formerly Unigraphics) 3D & PLM software for our maritime engineering projects. NX Ship Structure Basic Design implements the concept of a structural system. NX Ship Structure Detail Design provides all of the functionality necessary to define and modify the structural detail parts. 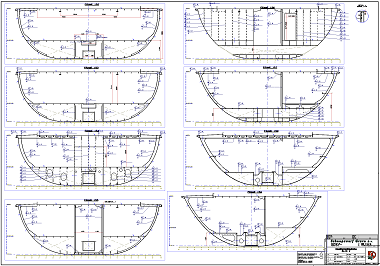 NX Ship Structure Manufacturing provides the functionality to create the data necessary for structural fabrication. We are driven by our passion for shipbuilding and dedicated to deliver creative design and engineering services. From concept studies to manufacturing data. Our knowledge and experience with practical shipbuilding combined with an advanced high-end 3D CAE system enables us to work efficiently and accurate and to find the best design and engineering solution for your ship. 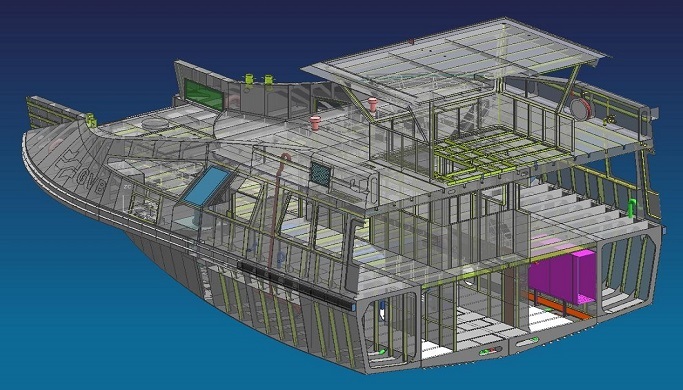 Siemens NX provides a focused environment for modeling and manufacturing the structure of a ship, enabling users to conceptualize and model the surfaces and landing curves of the hull, decks and transverse and longitudinal bulkheads. It provides shipbuilding engineers with tools to easily create and detail the plates and profiles that make up the structure. It also enables development of the production planning and generation of the structural manufacturing data. The ship structure solution is comprised of three products: NX Ship Structure Basic Design, NX Ship Structure Detail Design and NX Ship Structure Manufacturing. Ship Structure Basic Design implements the concept of a structural system, which enables the user to quickly model and modify a structural macro view of the ship to support early design stage analysis, drawing generation and easy transition to detail design. 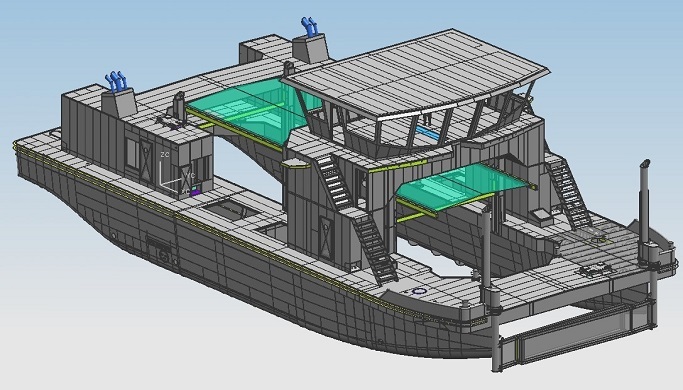 The structural system concept enables the user to define decks, bulkheads and the hull as single topologically related objects that are subdivided into subsystems with independent material and scantlings. These subsystems are further subdivided by straking seams to define parts that can be manufactured. Ship Structure Detail Design provides all of the functionality necessary to define and modify the structural detail parts. It includes parametric detail feature definition for quick placement and modification of brackets, holes, profile cutouts, clips and collars, chamfers, end cuts, corner features, edge features and flanged plates. Ship Structure Manufacturing provides functionality to create the data necessary for structural part fabrication. Manufacturing parts are created from the detail design parts and include unfolded plates geometry, profile inverse bending curves, profile sketches, excess material, marking lines, shrinkage and XML output. 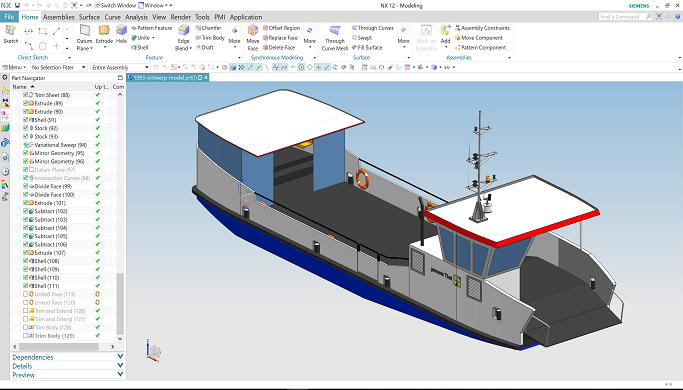 NX Ship Drafting provides functionality specifically for shipbuilders, such as a frame bar command, area centerline, drafting lines, symbols, weld symbols, annotation, inverse bending line and shipbuilding baseline dimension option. 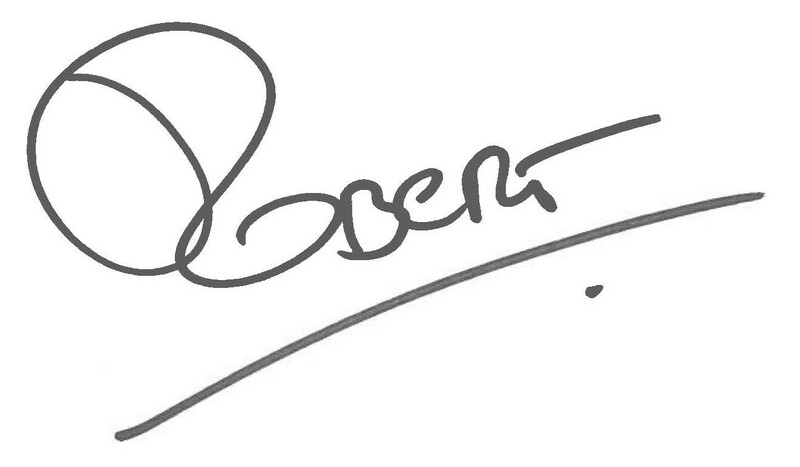 © 2014 Siemens Product Lifecycle Management Software Inc..
We are proud of the work we do here. Get in touch today to discuss what we can do for you.